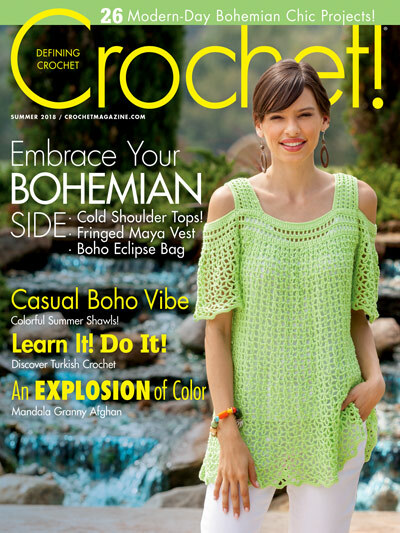 What to crochet for the Summer and Warmer weather? Most of us know what to crochet in the wintertime but what about the summer? 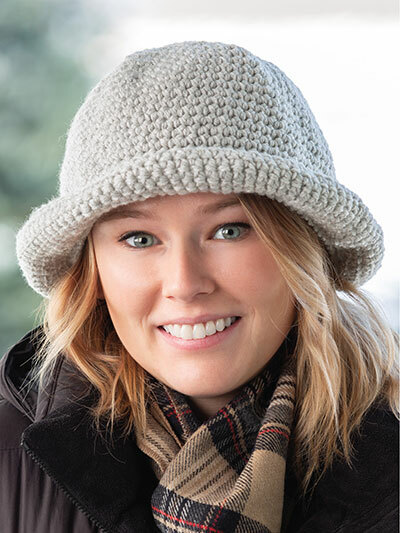 There are lots of fun and interesting crochet patterns to make using lightweight or cotton yarn during the warmer weather. Here are a few interesting patterns that you might enjoy making. Crochet projects for the summer can be made using 100% cotton yarn or even worsted weight yarn. Be sure if you are making outdoor items they can be easily washed. Crochet projects such as the Coral Reef Set Crochet Pattern shown above features items to crochet that you can take to the beach such as crochet flip flops, a sun hat and a beach bag. There are many other projects that you can make on the go including lightweight sweaters, beach cover-ups, shawls, baskets, baby blankets, dishcloths, bath items and more that you can easily crochet. Plus crocheting a lightweight item during the summer months prevents you from keeping a heavy project such as a blanket on your lap and making it too warm to crochet. You can find lots of spring and summer crochet patterns like the ones shown above in the crochet collection patterns found here. 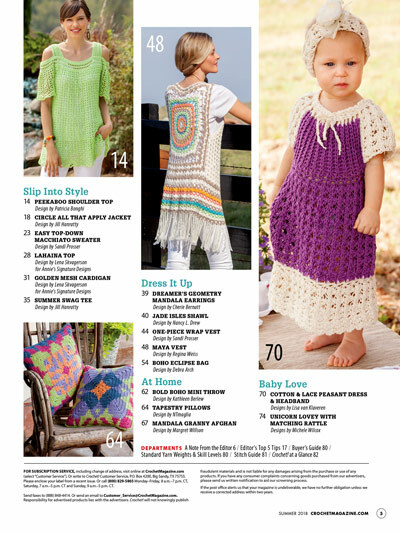 Be sure to check out the Crochet Summer Magazine with several new patterns to Create! Crochet a few items for the summer months such as a lightweight cotton accessory to wear around your neck or even as a belt. The above pattern was crocheted with crochet cotton and we tied knots in the end but you can easily crochet it without the knotted ends. Size is approximately 42" with knots and 50" without the knots. DC until you reach your desired length. Finish off and add knots if you wish. Flip Flops are easy to crochet. 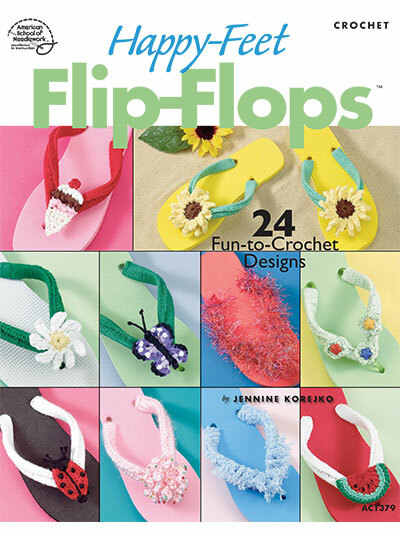 Use any worsted weight, cotton or even a fuzzy or furry yarn to crochet around an inexpensive pair of flip flops. You can find flips flops at the dollar store or better yet Walmart sells them for .98 cents a pair (order them online and pick up in store). You can easily use left over yarn to crochet fun and colorful flip flops for the summer.